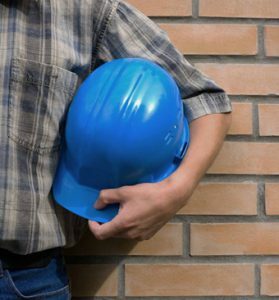 At, Creative Masonry & Chimney we offer top-quality masonry services in Canton, Connecticut for both residential and commercial settings. Our expert masonry services include new construction, building, brick repair, thin stone veneer, or stonework for your walkways, side walls, steps, or patio. Our expert masons in Canton, Connecticut are fully skilled and experienced in providing high-quality masonry services including restoration, repairs, and new construction. We work closely with our client and pay attention to every minor detail to make sure we deliver the desired outcome based on your requirements. Whether your needs for hardscaping development includes building a patio, walkway, sidewalk, driveway or a fire pit, Creative Masonry & Chimney can facilitate you turn your imaginations into reality. 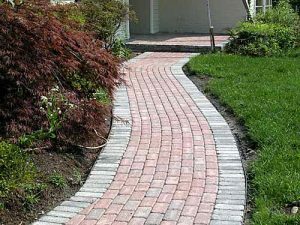 Our expert masonry services in Canton, Connecticut can help you create such works of art that will add the overall value of your property and will effectively enhance its curb appeal. At Creative Masonry & Chimney, we offer professional grade masons offer complete support at every stage of your masonry project ranging of design and planning to material selection and final execution. We make sure to do everything that is necessary to deliver your concrete construction project in a convenient, hassle-free and efficient manner. We consider working with brick, stone, and thin stone veneer as an art form. We years of mastery experience required to proficiently dig up and level back the construction area, fill in with the concrete, lay brickwork, place stones, and apply protective layers to any exposed structure. Whether you need new construction or repair an existing one, our efficient masonry building and repair services make sure that your construction will last for many decades. We are providing our repair and construction services of stone masonry and veneers in Canton, Connecticut. We have an exceptional team that provide you all the facilities of stone masonry and veneers to have a new look at your place. We provide different outdoor construction of fire pits, stairs, facades and many other. 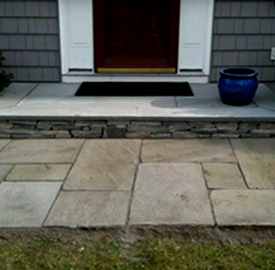 We have an expert team in Canton, Connecticut that will provide you our best services. Creative Masonry & Chimney is a full service residential and commercial masonry contractor with masons specialized in stone, block, and brick masonry. The number of customers returning to us for their masonry needs represents us as the most trusted masonry contractor in Canton, Connecticut. Our clients not only trust us but also find our workmanship and masonry work second to none. With decades of experience in masonry, Creative Masonry & Chimney continues to build a strong reputation for providing excellent masonry services through advanced techniques and customer support. In today’s competitive masonry industry, we enjoy a loyal client base because of our ability to complete every project on time with complete precision. We are OSHA certified and enjoys an excellent record for safe work practices.